Your Success is Our Success. We like to celebrate our entrepreneurs and members of The Fueling Station community who are redefining success. It all starts with getting to know each other. Each month, we feature a member of the community. This month, we’d like to introduce you to TRAIN WITH PUSH. Tell us a little bit about Train With Push and what inspired you to start your business? I was inspired by my own need to gain a better understanding of how I’m doing in the weight room. As a fan of weight training, I always struggled with understanding how I’m truly doing (beyond the simple weight I was moving). I was truly inspired when several coaches at UofT encouraged me to pursue the opportunity further. 4 years later, we now have an awesome team of engineers, designers, and sport scientists that all contribute and share in the vision of transforming sport performance through technology. Is there any exciting projects coming up for you this summer? – we know its a busy time for you! The Kickstarter is for a new sub-brand we built that’s focused on tracking and quantifying an athlete’s performance in CrossFit! NEXUS, as we call it, is focused on becoming the GPS watch for the weight room along with the vision of connecting CrossFit athletes digitally through our platform. What has been you biggest achievement or memorable moment with Training With Push, to date? The most memorable this year has probably been visiting the Irish Rugby Union and all the professional rugby teams in Ireland to do a country-wide install. It was a really fun ride and we had a great time. At Push, our mission is to build exceptional sport technology solutions that help athletes perform at their best. The technology developed, such as the Band, Portal, and Vital, are in active use by over 38 pro sports organizations at the highest level of sport as well as thousands of athletes and coaches at a junior level. 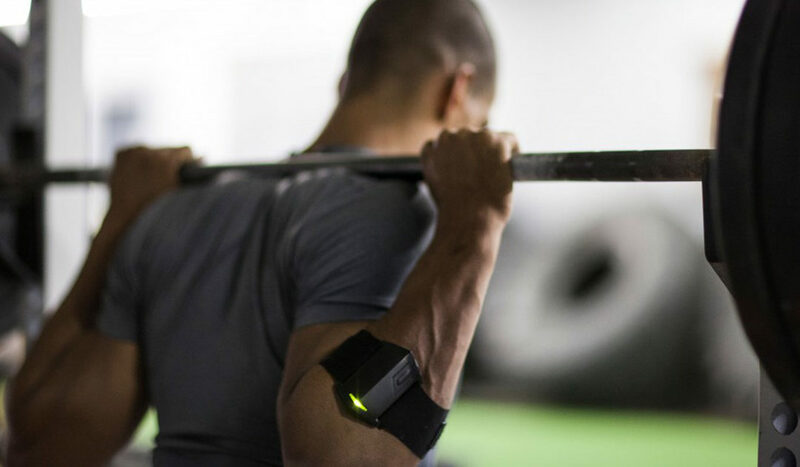 Push’s wearable technology, the Push Band, enables coaches to objectively assess and track their athlete’s performance in the weight room helping sport organizations and the staff that powers them make smart decisions about the way their athletes train and prepare for competition.